On a dark winter's morning a little girl has to trudge a mile to catch the school bus. Will she be able to sing her way through the shadows? 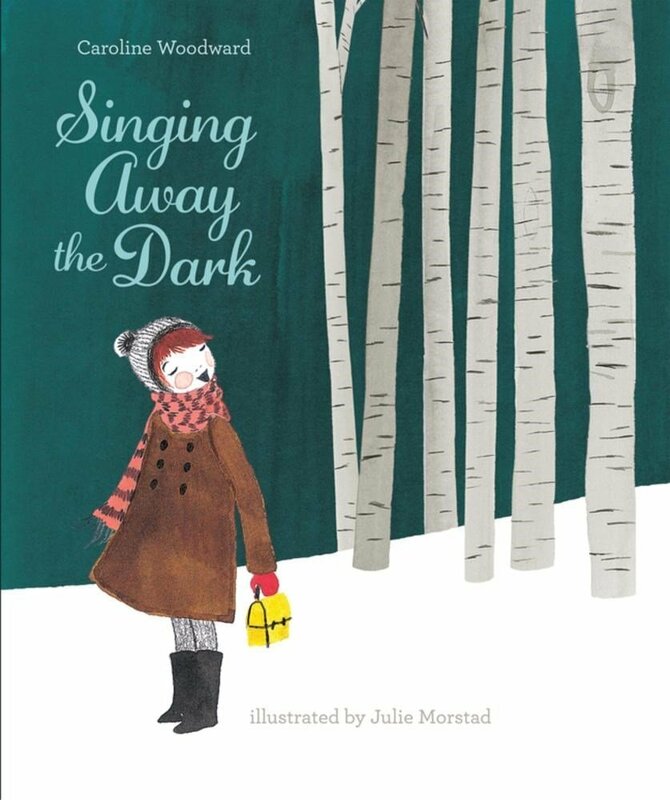 Lifting Rhyming text by Caroline Woodward and stunning paintings by Julie Morstad herald an era when singing away the dark was part of a six-year-old's rural school-going routine, no captured in this special large format edition.